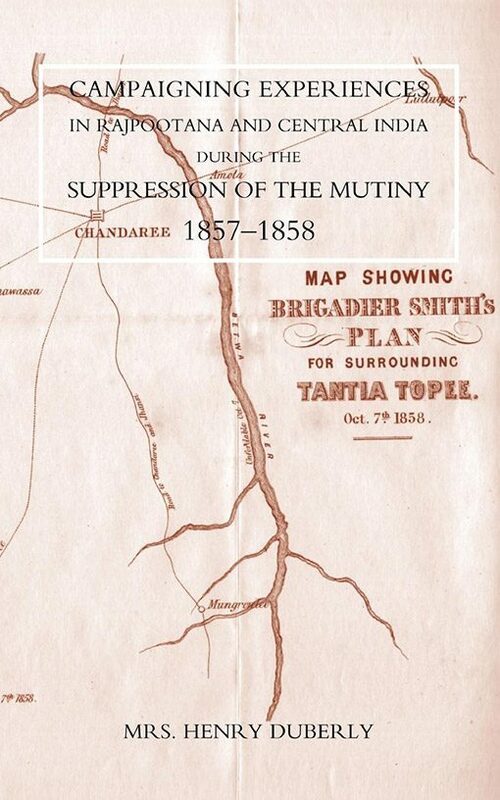 The story of the suppression of the Indian Mutiny in 1858, written by ‘Fanny’ Duberly, whose frank account of following her husband Henry, paymaster of the 8th Kings Irish Hussars to the Crimea. She fearlessly does the same here, riding 1,800 miles on horseback in hot pursuit of ‘the flying foe’. Frances ‘Fanny’ Duberly was a famous – and in some quarters infamous – Victorian lady. A Wilitshire banker’s daughter, she was married to Henry Duberly, paymaster of the 8th KIng’s Irish Hussars, one of the component units of the famous Light Brigade in the Crimean War. She followed her husband to the Crimea, disobeying Lord Lucan’s order for her to leave, dined with Lord Cardigan, the Light Brigade’s Commander, on his yacht; and was photographed on horseback by the famous war photographer Roger Fenton. Her gossipy, indiscreet memoir of the war was a bestseller, and she repeated the trick with this volume – her eye-witness account of the suppression of the Indian Mutiny in 1858 which immediately followed her Crimean experiences. She is once again unafraid to be ‘tempted to touch upon points outside a woman’s province’ and she assails the East India Company for contributing to the mutiny by not educating its Sepoy soldiers, and by behaving towards them in an ‘un-Christian’ manner. She recommended that each Indian Army officer should be given a sabbatical year in England once every seven years so they do not lose touch with the mother country. Her account of the 1858 mopping-up operations against the ‘flying foe’ as she calls the remnant mutineers is valuable as a record in itself – but primarily because it is the work of a very fearless woman. She claims she herself rode 1,800 miles by horse in the course of the campaign. 2005 N&M Press reprint (of original 1859 pub). SB. viii + 244pp with 2 maps.